public. The operation will be overseen by the Vaad HaRabbonim. familiarize yourself with the necessary preparations. place. All areas of each item must be meticulously cleaned. A. Turned edges on pots and pans. B. Joints, and especially the joints of pot handles, removable or nonremovable. D. Between the tines of the forks. items to be Kashered may not be used for 24 hours prior to Kashering. 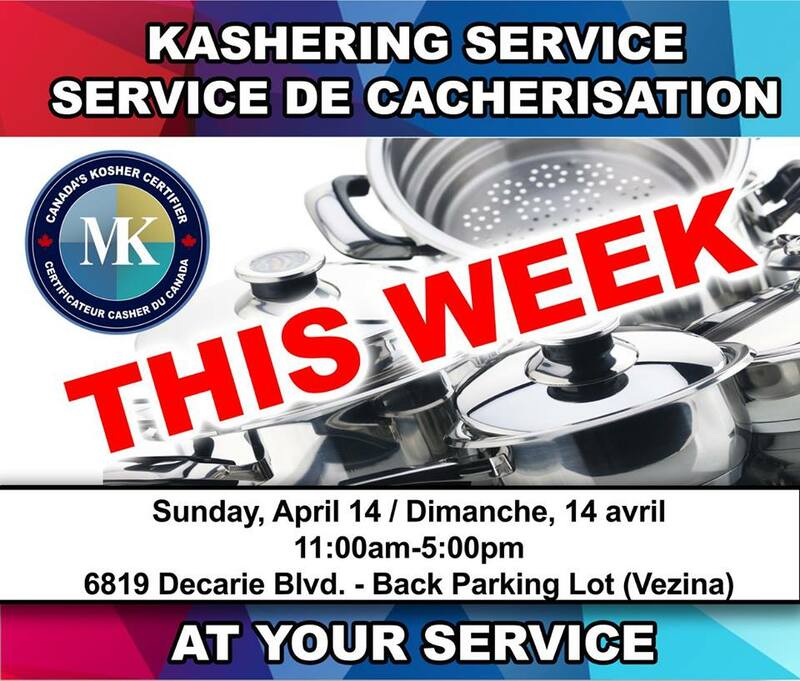 As always, Canada Kosher is here to service the Canadian Kosher community. Feel free to text our Passover hotline with any of your Kosher questions at 4388003379 , email us at passover@mk.ca or call us at 18667396363 or tweet us @ https://twitter.com/MKCanadaKosher. We are here to help make this an #EZPassover for all Canadians.